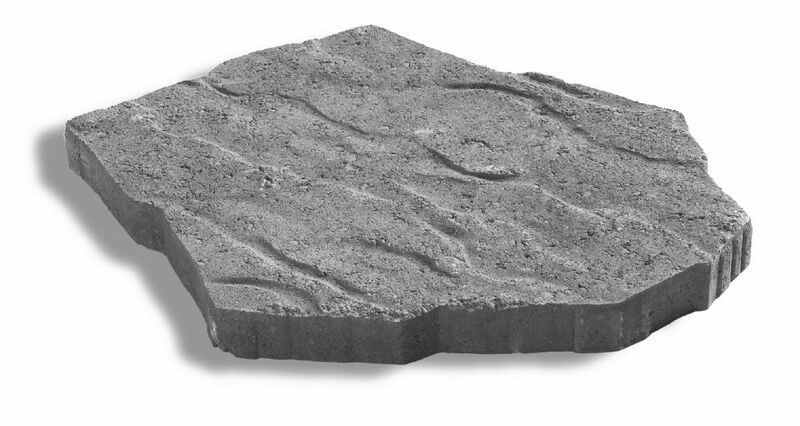 Barkman's 12 inch square stepping stones are great selections for your walkways and paths without the price tag. Barkman stepping stones are easy to install, inexpensive and just as durable as any other concrete product. Great for garden walkways! A paver with an antique look inspired by old European countries for creating a simple, but warm decor. For a patina reminiscent of stone that has been exposed for hundreds of years, moulded and embellished by the passing of time. Portage Stepping Stone Shadow Blend This unique slab offers the natural look of flagstone with irregular contours and surfaces and interlocks seamlessly to create a random looking pattern for your project.